NIT Rourkela Recruitment 2019 - Job notification for Junior Research Fellow Post on a project entitled “Invariant Analysis with Lie symmetry and new conservation laws of various nonlinear partial differential equations appearing in physical problems” in Department of Mathematics, NIT Rourkela, Rourkela, Odisha on Tenure Basis. Applications are invited by National Institute of Technology, Rourkela on or before 26 Apr 2019 for 1 vacancy. M.Sc. (Math) with 65% or 7.0 CGPA or equivalent. NET/GATE with valid score is essential. Having adequate knowledge in Computer programming. Eligible candidates may send their application in prescribed format affixed with coloured photographs to be submitted in duplicate along with photocopies of relevant certificates, grade/ mark sheets, publications etc. to Asst. 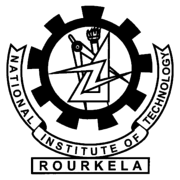 Registrar, SRICCE, National Institute of Technology, Rourkela–769 008 on or before 26 Apr 2019. NIT Rourkela Recruitment 2019 - Apply Online for 177 Faculty Posts in NIT Rourkela, Odisha. Online Applications are invited by National Institute of Technology, Rourkela from 01 Mar 2019 10:00 AM to 30 Apr 2019 till 05:00 PM for 177 vacancies. NIT Rourkela Recruitment 2019 - Apply Online for 47 Assistant Professor Posts in NIT Rourkela, Rourkela, Odisha. Online Applications are invited by National Institute of Technology, Rourkela from 01 Mar 2019 at 10:00 AM to 30 Apr 2019 till 05:00 PM for 47 vacancies. NIT Rourkela Recruitment 2019 - Walk in for SRF Posts on a project entitled "Development of Ground Penetrating Radar for Detection of Subsurface Objects" in Department of Electronics and Communication Engineering (EC), NIT Rourkela, Rourkela, Odisha. Candidates are invited by National Institute of Technology, Rourkela to attend walk-in-interview to be held on 15 May 2019 09:00 AM for 2 vacancies. NIT Rourkela Recruitment 2019 - Walk in for JRF Post on a project entitled "Study the effect of physiological exposure and evolutionary adaptability in Salmonella" in Department of Life Science, NIT Rourkela, Odisha. Candidates are invited by National Institute of Technology, Rourkela to attend walk-in-interview to be held on 22 Apr 2019 09:30 AM for 1 vacancy. NIT Rourkela Recruitment 2019 - Walk in for JRF Post on a project entitled “Development of City Traffic Dashboard using Social Media Data and Historical GPS Trajectory ” in Department of Computer Science and Engineering, NIT Rourkela, Odisha. Candidates are invited by National Institute of Technology, Rourkela to attend walk-in-interview to be held on 29 Apr 2019 11:00 AM for 1 vacancy.